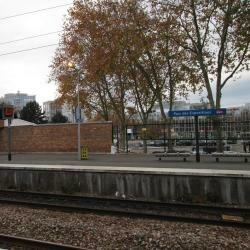 Looking for hotels near Paris Nord Villepinte Exhibition Centre? Appartement Villepinte is located in Villepinte. Guests staying at this apartment can use the fully equipped kitchen and a balcony. This Novotel is located in the heart of the Paris Nord 2 Business Park, just a 5-minute drive from Charles de Gaulle Airport and Parc des Expositions Paris Nord Villepinte Exhibition Center. 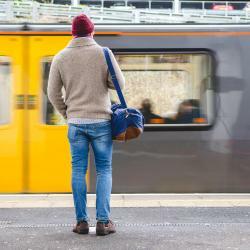 This ibis Styles is located to the east of Paris, just a 3-minute walk from both the Parc des Expositions Paris Nord Villepinte Exhibition Center and Villepinte Train Station. Located in the outskirts of Paris, ibis Villepinte Parc des Expositions is just 1640 feet from Parc des Expositions Paris Nord Villepinte Exhibition Center and 3.1 mi from Charles de Gaulle Airport. Located directly opposite Charles-De-Gaulle Airport Terminal 3 and 3.1 mi from Paris Nord Villepinte Exhibition Center, ibis Styles Paris Charles de Gaulle Airport features free WiFi, an on-site bar... I had to stay at the airport one day more than originally planned. Nomad Paris Roissy CDG is located in Le Mesnil-Amelot, just a 5-minute drive from Charles de Gaulle Airport. Stay here for the second time. Expected good service. Not disappointed. 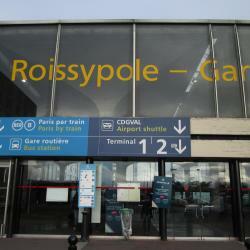 This hotel is located next to Roissy Airport and 3.7 mi from the Parc des Expositions in Villepinte and Le Bourget. It has a sauna, fitness center and free wired internet access in the rooms. i stayed for a transit , it was comfy and clean with a very friendly staff . Located at the center of Charles de Gaulle Airport, this hotel is connected to the terminals by a free automated metro line (CDGVal) and just a 1-minute walk from Terminal 3. Very comfortable. Location to the airport was perfect. The Premiere Classe Roissy offers en suite accommodations 2.8 mi from Charles de Gaulle Airport. It has free Wi-Fi access and a 24-hour reception, just 9.9 mi from Parc Astérix. Excellent location near the airport and restaurants. Novotel Suites is located a 3.1 mi from Paris Charles de Gaulle Airport and Parc des Expositions Paris Nord Villepinte Exhibition Center. We chose the hotel for its location, but also for its amenities. The Sheraton Paris Roissy Airport Hotel is located inside Charles de Gaulle Airport, just above the RER train station, which goes to central Paris. Being convenient to departing airline gates makes staying there a No-brainer!!! 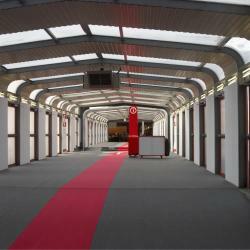 Hotels with great access to Paris Nord Villepinte Exhibition Centre! Featuring free WiFi, a restaurant and a sun terrace, AUBERGE DU CHÂTEAU BLEU offers accommodations in Tremblay En France, a 10-minute drive from Charles de Gaulle Airport. Liked the location, liked the proximity to CDG, liked the inn-keeper. This Holiday Inn is located a 5-minute drive from Paris Charles De Gaulle Airport and 1 hour from the center of Paris with public transport. The staff was very friendly and we slept very peacefully and comfortably. Hotel The Originals Paris Parc des Expositions Villepinte Acadie is located a 10-minute drive from the exhibition center and less than 15 minutes by car to Roissy-Charles de Gaulle airport. The flowers and gardens were beautiful. They were very nice and helpful. It is close to the airport.